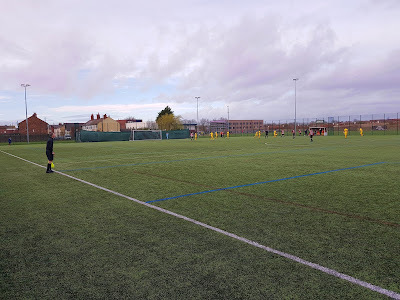 My ninth ground of 2019 was on Saturday 9th March at the Anfield Sports & Community Centre in Liverpool, Merseyside. 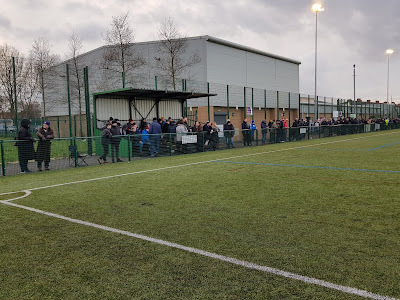 The match was Lower Breck vs. Ashton Town in North West Counties League Division One North. The arena is a cage set-up with a 4G pitch. The western side of the field is accessed via the sports centre. 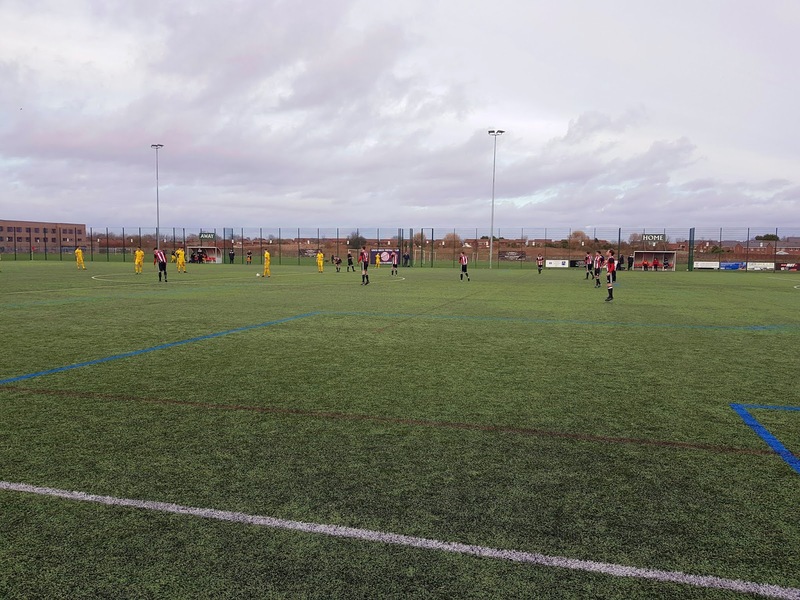 As well as multiple sporting and fitness facilities this centre also has a smart community cafe which is very large for the level the club currently occupy. 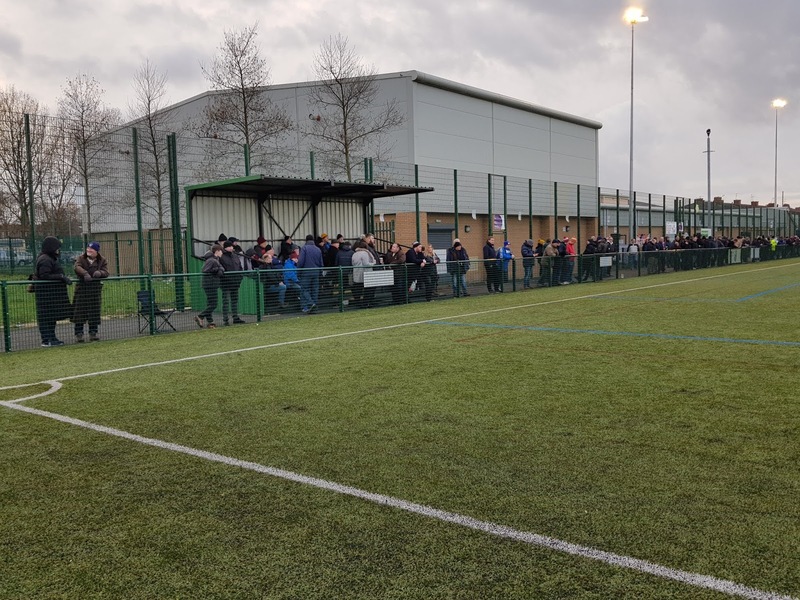 The western side has uncovered hard standing for its entire length and has a 50 seat stand in the south-west corner which was installed in March 2018 to enable their promotion to the North West Counties League. At present the ground is only a two-sided one for spectators with the other viewing area the uncovered hard standing behind the southern goal. There is no spectator access on the eastern or northern sides. The eastern side does have the two dugouts while the northern end has a netted off area behind the goal. The site is however expected to have further development over the coming years to allow the continued progression of the club. 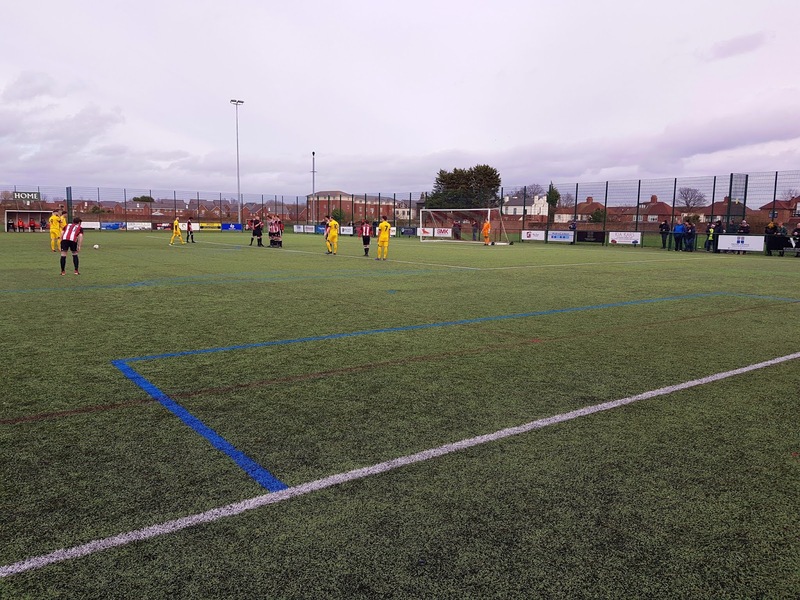 Lower Breck came into the game enjoying an excellent debut campaign in the North West Counties League. With the side up in 3rd position having scored over 100 goals their threat was well known. League returnees Ashton Town in comparison were having a middling season with them securing sitting in midtable. Lower Breck went close to securing an early lead in the 8th minute when a long cross to the back post was just clipped wide by Peter Moore. 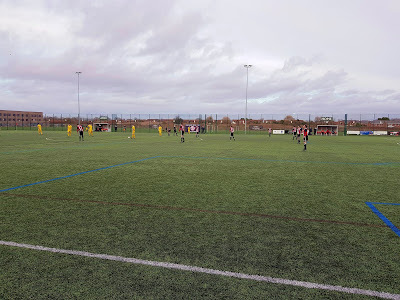 On the quarter-hour mark Ashton had their best chance of the early going - a scramble in the box fell to James Sigsworth who saw his shot saved by Josh Molloy to prevent a certain goal. Just three minutes after going close the visitors fell behind after a superb 20-yard curling shot into the top corner by Stephen Milne. The away side had a decent spell after this creating a few chances but in the 32nd minute fell further behind. A ball from the left found Peter Moore who showed strength to brush off a defender and slot the ball low past the keeper. The visitors would've hoped to go in two goals behind at the break and regroup from there but things got worse in the final minute of the half when a nice one-two in the box finished with James Colbeck steering the ball low into the bottom corner to put Lower Breck three goals to the good. Things didn't get any better for Ashton in the second half. 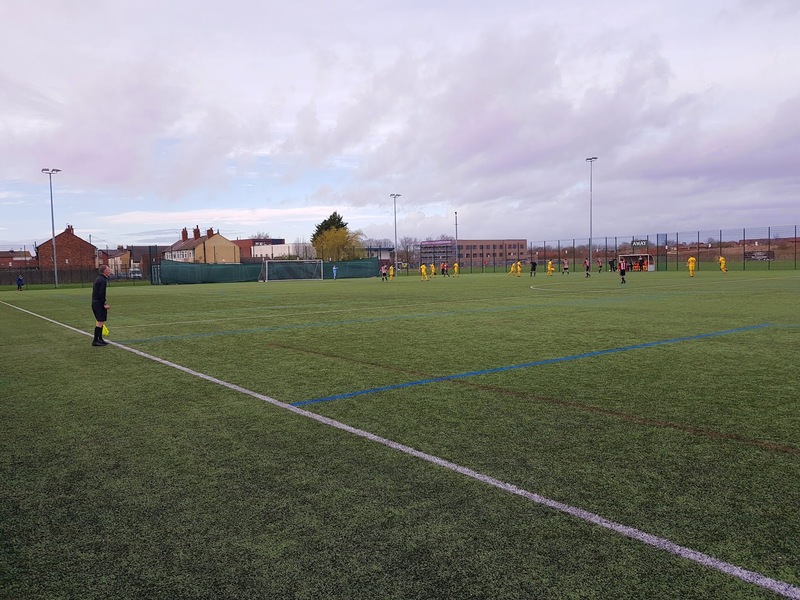 In the 56th minute a corner from the right was controlled by Jamie Henders who turned and clipped the ball into the bottom corner from six yards out. Just before the clock hit one hour goal number five arrived - Stephen Milne beat a defender to the ball in the air and waited for the bouncing ball to come down before curving it into the far corner. With the game over as a contest it petered out after this point with Lower Breck taking their foot off the gas. In the final minutes Ashton had a spell in their opponents half with Mathew Johnson missing a great chance in the 84th minute blazing over while clean through. Two minutes later Johnson redeemed himself with a curled shot from the just outside the box which Molloy got a hand to but only managed to slow the ball as it looped into the net. The last word belonged to Lower Breck though as in the second minute of injury time a corner to the near side of the area was intercepted by Stephen Milne who drilled low into the far corner to grab his third goal of the game and secure the match ball.